Ruggedized displays, first-rate software development and testing, optical bonding for stellar display performance…all qualities of which General Digital is known the world over. But there is one crucial element that ties all of these admirable qualities together and enables them to perform well. A simple, unassuming device that, unless you’re an engineer, you probably don’t think about often. We’re talking, of course, about printed circuit boards, otherwise known as PCBs. You know, the variably-sized green fiberglass boards that have all manner of copper pathways and scores of tiny electronic components soldered to them. Many times, manufacturers will import their PCBs from foreign markets, whose quality control and attention to detail is often suspect. 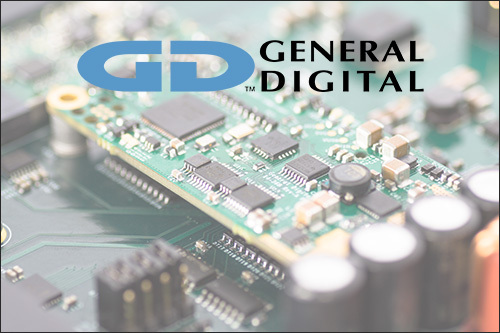 Of course, here at General Digital, we like to do things a bit differently—by making our own printed circuit board assemblies in-house. This ensures superior build quality and allows us to do production runs as big or as small as our needs require. Currently, we are producing a medium volume of PCBs, but are looking to further expand production. As of this writing, the product list for our in-house PCBs is quite extensive. 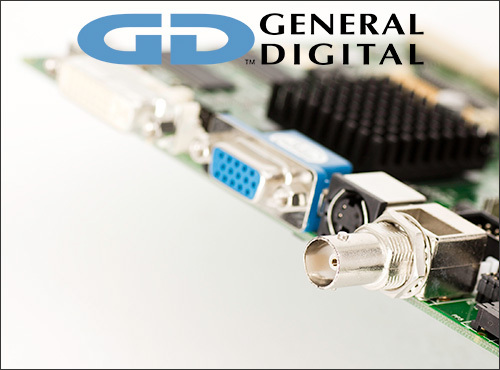 There are LED driver boards, LED rails for display enhancements (which include sunlight readability and night vision goggle compatibility), calibration boards, control boards, digital equalizer boards, USB hubs and interface boards, to name a few. All are engineered and designed for use with our display products or sold as standalone devices to be integrated by the customer. And, because we do custom work, we encourage manual stenciling for the solder paste application to each board. 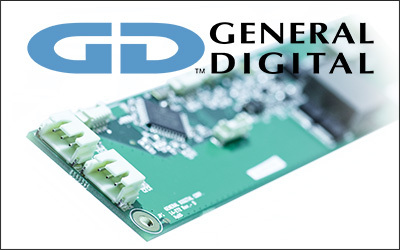 General Digital is certified and trained in following specific standards and procedures to make sure that the development of our printed circuit boards are more than just “up to code” products. We are certified in IPC 610: Inspection/Pick and Place Assembly; IPC J Standard: Hand Soldering (when necessary and applicable); and IPC 7711/21: Reworking. Although, for a small (but growing) company, you might think that space would be critical and crucial. Yet, we are serious when it comes to organization and cleanliness with all of our products. We’ve managed to squeeze in some premium PCB production equipment, including an oven for solder reflow, a reflow machine for reworking in accordance to IPC 7711/21, and a wash machine to ensure that our PCB boards are spotless. If you need high quality, customized PCBs, look no further than the experienced staff at General Digital Corporation. Providing performance at every level.